Have you ever considered expanding your business beyond the United States and its borders, maybe even specifically to Germany? If so, one of the most important services you will need is translation from myself through my company iTranslateit and its professional accurate language services. Entering into any overseas market can enhance your overall productivity; however, it also presents numerous challenges…the most obvious and critical one being the all-too-often awkward language barrier. If your company is planning to operate in Germany, it is essential for you to translate your English documents into German and your German documents into English for not only better communication, but also to make a good and lasting positive impression on your new German prospects in both customers and hopefully allies. This is where a professional German translation service company like mine, iTranslateit, can help you stand out from the competition and assure your success in communicating in what may seem like another world. As a language expert with a wealth of experience, I can help you find the best solutions for your business in the areas of communications, language interpretation, and document translations of any type, including legal papers and contracts, etc., to-and-from German and English. As a translation professional, I will optimize your ability to really connect with your new clients on a level impossible to achieve without using the other party's native language. I will make you rise above others by using the language your new business associates and prospective customers will feel the most comfortable speaking in, and you will be spoken of in a more positive way when being referred by your clients, over your competitors who failed to take things to the next level of professionalism. I ensure to provide you absolutely effective and professional translations to suit your needs in your specific situation. To maintain the highest quality standards, all translations are proofread and cross-checked for accuracy after the translation is complete and the document is considered "final." I also offer tailor-made translation services to meet my clients’ actual needs, so please don't hesitate to discuss your needs in absolute confidence, so you just pay for what you really need instead of all kinds of non-beneficial "fluff." I will help you achieve success in foreign markets. 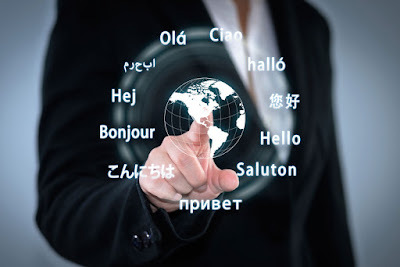 A thorough web search will help you in finding a translator of many kinds, but I offer professional and reliable German language translations that will better connect with your clients on a superior level, with my keen awareness and use of the languages' cultural nuances and accents that can't be simply learned from a book or even in a college classroom. Your business will be much more successful with professional translations from iTranslateit that will make you sound clearer, more intelligent and accommodating, to prospective customers and alliances alike. I specialize in German and English and limit my professional practice to these two languages alone.